There is ample 2 and 3 hour parking throughout town, however, parking on the weekends can be challenging.We highly recomend that you take this into consideration when booking a reservation and that you allow ample time for any unforeseen delays. NJ Transit has a Maplewood stop and is located directly behind the restaurant. Let Lorena's co-host your next private event in the comfort of your own home. Chef Campos will design a menu to your specific needs up to 30 guests. In June of 2005 Humberto and Lorena opened the doors to Lorena's a BYOB in the heart of Maplewood Village. Not too many like this one in NJ. Must go and enjoy the delicious food and great service! This was our first time at Restaurant Lorena. I made the reservation for our anniversary based on my son's recommendation. The service was very good - our server was always in sight in case we needed him, but he wasn't looking over our shoulder all night. The server also wasn't pretentious, which can happen in some higher end restaurants. The menu is on the limited side, so if you are looking for a place with a 20 page menu this is not it. The food was delicious and presented beautifully. It was so nice to be in a restaurant where you could actually have a conversation without screaming. My only disappointment was that creme brulee wasn't on the dessert menu, however that wasn't the restaurant's fault. Would definitely return for another dinner. Lorena’s has the best food.... the service is top notch. I recommend this restaurant to anyone who wants a memorable meal! We’ve been to Lorena’s many times, whether we have something to celebrate or not; this time was my husband’s 65th birthday. He ordered oysters, salmon tartare and we both had the short rib and filet duo (his medium, mine medium-rare and each was perfect), and I started with the duck confit Thai salad. Dessert was apple tart and hazelnut cake, plus an extra treat, candle included, in honor of the occasion. What can I say, every course was wonderful - as usual. Service was comfortably attentive without hovering. Outstanding dining experience overall. Always a great special occasion place, we tried the mid-week prix fixe menu. It was just wonderful and we hope it becomes a set part of their dining experience. It will expand our visits. It's Lorena's! It lives up to its outstanding reputation. First rate for special events or even Saturday Night out. And it's located in beautiful downtown Maplewood. 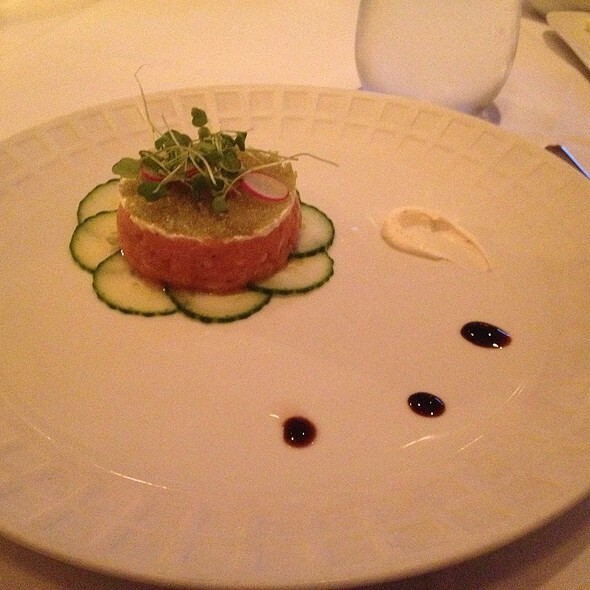 Lorena’s continues to be the go-to restaurant for an elegant yet relaxed meal. Always delightful menu and perfectly attentive staff. We go back again and again and are always happy. We have always enjoyed our everything at Lorena's/ Food and service is as good as it gets. Atmosphere is quite sparse and could be a bit stuffy for some. We love it! As good as it gets. 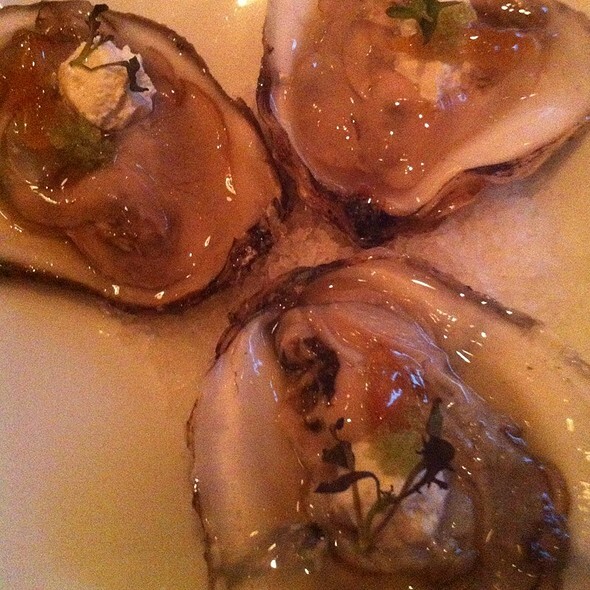 Started with a dozen fresh delicious oysters with an unusual dipping sauce that paired up perfectly. Appetizers: beet salad and fois gras prepared to perfection. Scallops and a duo of filet mignon and short ribs were the entrees beautifully presented and cooked. Dessert: a deconstructed banana split and because we had mentioned that it was our anniversary they also brought a lovely panna cotta with a candle in it. Our server Mario was attentive and warm. We will return! Excellent food overall with good service. The base menu was solid; however, a few specials would have been a good addition. We went here for a special occasion, and were very pleased. Our server was attentive and knowledgable. The food was great (which it has to be at these prices). The spicy duck confit salad was especially excellent. Back room tables are too close together to have a private conversation. Room temperature too hot. Despite this, the restaurant is great. Great food and service. As before when we have dined here, another EXCEPTIONAL MEAL. 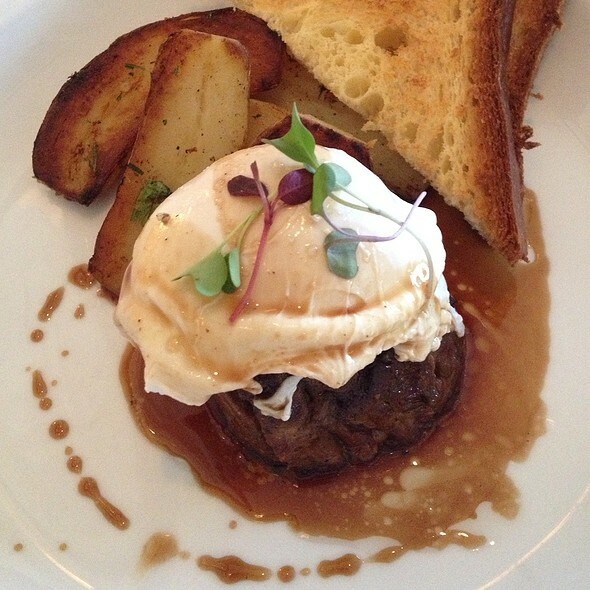 Every item on the menu is delicious and artistically presented. My only difficulty is deciding what to order for my main course. I would enjoy everything offered. This time, I savored the Venison Sirloin. I was as tender as top notch filet of mignon. 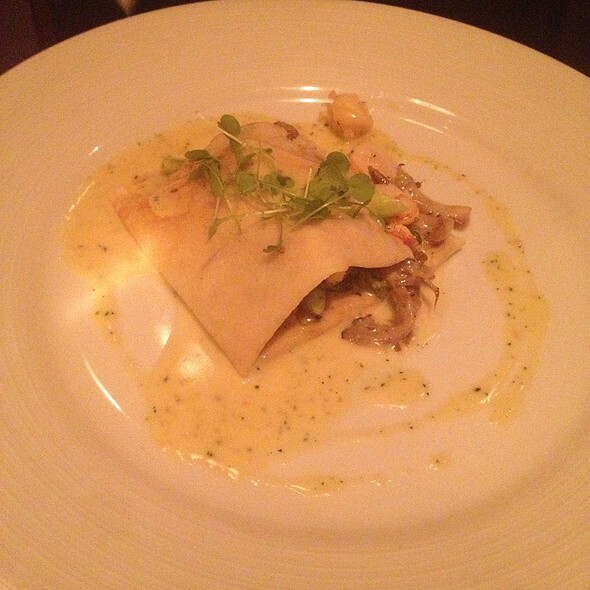 and the " fan favorite" Warm Crêpe of Lump Crabmeat and Wild Mushrooms. The freshly baked bread offering are also wonderful. And of course, the wonderful, friendly and knowledgeable staff with the addition of new server Andrew added to our dining pleasure. We'll back at the end of this month. It's no wonder that Lorena's is listed regularly as one of the best restaurants not Just in in New Jersey but in the Entire U.S.A.!!!!!!! Phenomenal! Among the best I’ve been to. You won’t find any better in New Jersey and right up there with New York’s best. This was the most divine and lovely evening. I can't wait to go back! What a special restaurant from every angle. Great food and service. Friendly & informative waiter and owner/host. Amuse bouche + a palate cleanser. 3 Delicious courses, and they surprised us with an extra dessert with a b’day candle. We have lived in Maplewood for a few years and finally made it to Lorena's to celebrate a birthday- our only regret is it took us this long to go! 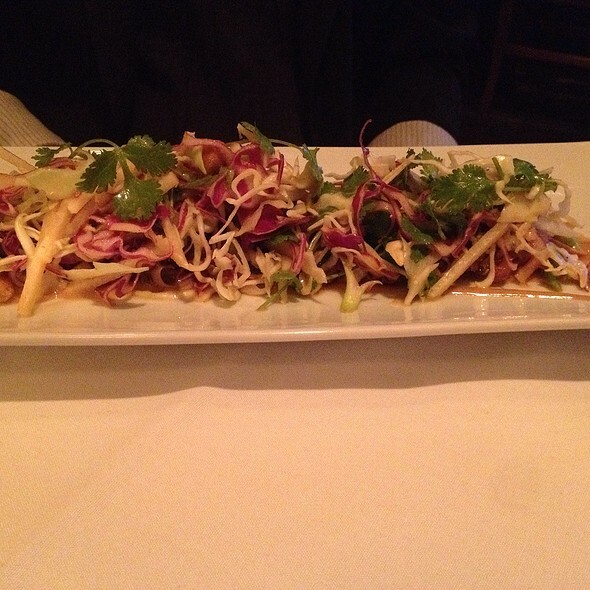 The staff is wonderful, the food is DELICIOUS, the portions are perfect, and it's a great ambiance! We will be back again soon! Comfortable gem of a restaurant with excellent food. The service is comforting, unobtrusive, and precise. The atmosphere is perfect for occasions ranging from intimate to serious to relaxed and festive. When I sat down, I felt relaxed and in good hands. The menu is carefully curated so each dish is seasonal, simple, and beautiful without being "tweezer" food. BYOB, though the server is attentive to the wine glass. Parking can be an issue. We've eaten at Lorena's a number of times and never been disappointed. 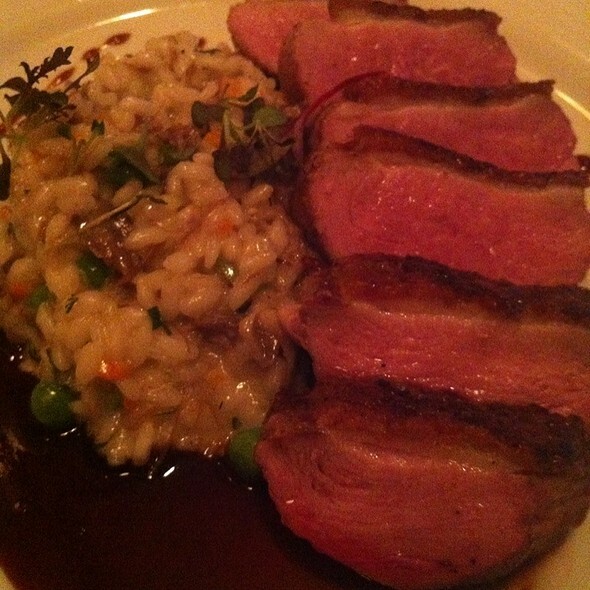 We both had duck breasts for our main course which was delicious. absolute 5 star restaurant. I rank this place as one of the finest restaurants i have ever been. Lorenas has come down. Way too expensive for the quality. Very disappointed with the rush act and the lack of taste. 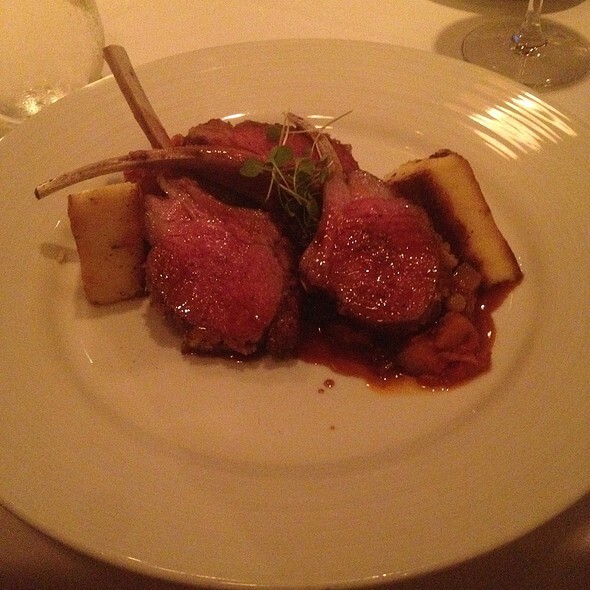 We had rack of lamb which was so tasteless. 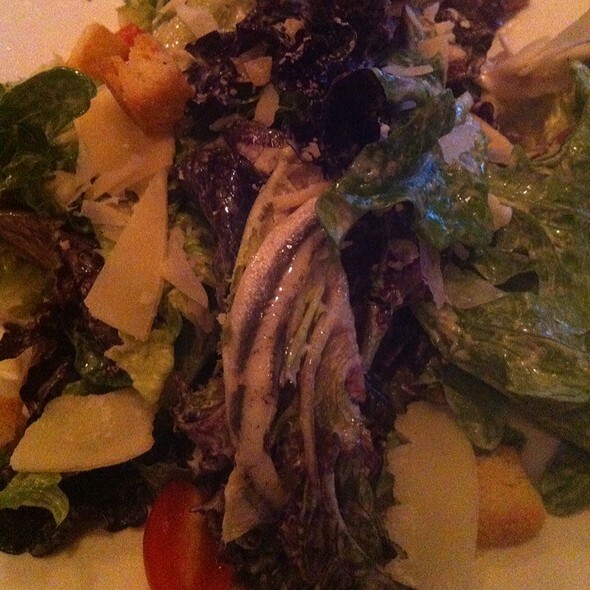 The salad I had tasted like bagged lettuce. Once again poor. Will not be coming back. Make no mistake, this is not a French style restaurant serving small elegant portions artfully arranged with gossamer ingredients. The food , however, is quite tasty and well made. But it is “slab” restaurant, ie, the protein portions are large pieces of meat or fish. Main complaint: waiters are pleasant but hard to understand. Also my wife’s tights were ripped by an exposed nail under the chair. We pointed it out but the staff took no responsibility other than change her chair. We “let it go”. Awesome restaurant. The food and service were top notch. Delicious. Can't wait to go back again. Overall, a nice meal. 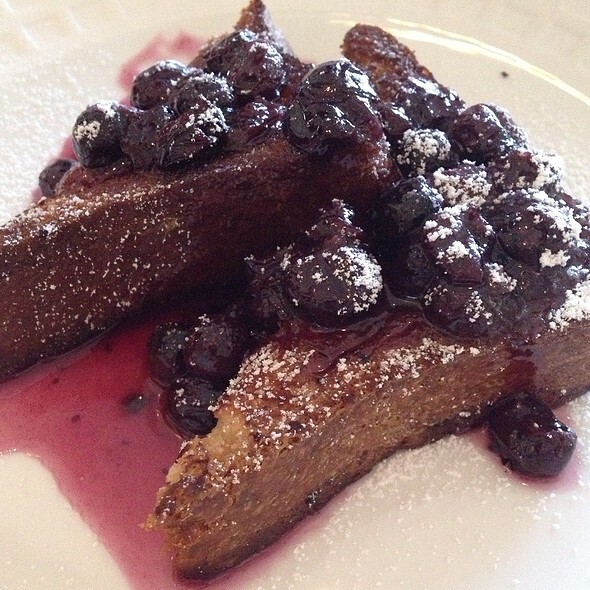 The food was pretty good, but the service was stellar, exceeding expectations. Great food & service. Hidden gem in the heart of Maplewood. Perfect for a special date night or celebratory dinner. Service was very attentive and cordial.would recommend to our freinds. My first time at this restaurant, although I had wanted to go for a long time. A cold evening, snow, so no crowd to bother us. Service and ambiance indeed great, very pleasant, everyone very polite. My dish, the “Arctic char “ was excellent and so was the appetizer, duck confit. My husband had the mushroom soup, which he liked. I had convinced him to get the venison although he was inclined to order the pork chops. My mistake and felt sorry afterwards - the venison was ice cold, they had either forgotten to heat it up, keep it in the warm oven or simply prepare it properly. I told him to send it back to have it reheated but he refused, didn’t want to embarrass our server, we didn’t think it was his fault. Next time I’ll make sure to stress the fact that food is supposed to be served hot, especially when it’s meat. So, very good but please, Lorena, more attention to temperature! Amazing as usual! Lorena’s does not disappoint. The food is outstanding. For a delicious meal and beautiful environment with outstanding service we recommend Lorena's restaurant. It is a very special place. Thank you Roberto for a exquisite dinner. I ordered a rare duck breast for dinner. When my duck came out medium well, I sort of had to send it back. The chef himself then came out and served me a basically raw duck breast with cold rubbery bok choy. It was insulting and he knew better. I didn’t say anything but I should have, however it was a special occasion and I didn’t want to ruin it more than having the rest of the group finish their dinner before I got mine. shame on you Humberto.